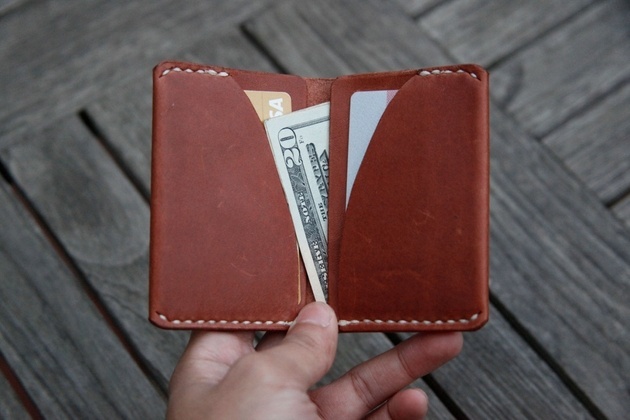 Ultra Slim Leather Wallet is made for those who like minimal wallets. 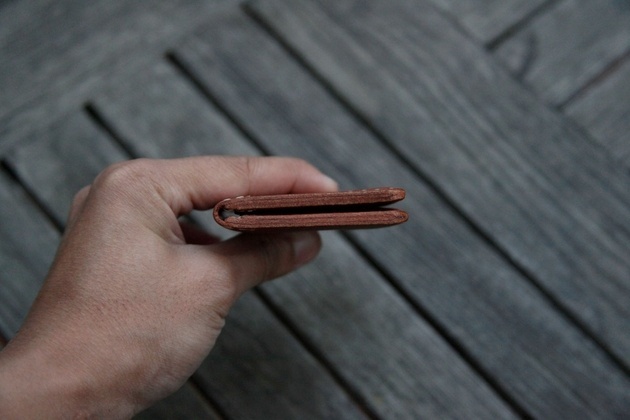 The trickery design of wallet is kept as simple as it takes to store a couple of plastic cards and few dollar bills, while the shape keeps the size of wallet at its minimal. 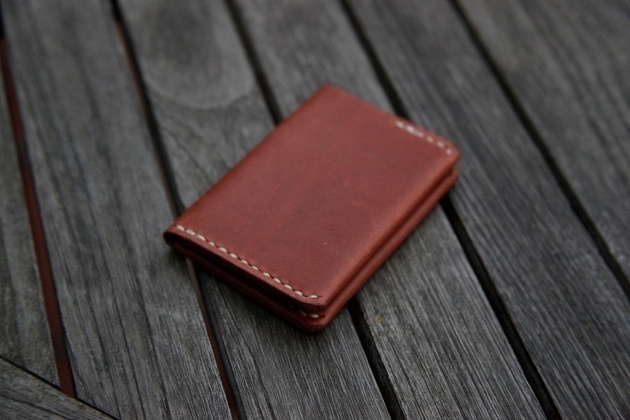 The wallet is entirely handmade with heavy waxed nylon threads, it promises plain and stylish look even after getting wet or fully soaked into water.